he du PREL surname is a place / location name of French origin. To explain the meaning of the Duprel surname, you must first understand that "du" and "Prel" are two separate words. The "du" simply means "of the" or "from the" sometimes the "du" is attached to the name "Duprel" other times it is separated "du Prel". Sometimes the French "de" or "du" (from the) is an indication that a family was nobility.Maximilien, baron du Prel the II, made a study of the family name in 1890. He summarized the following as being the origin of the "PREL, du PREL, DUPREL" surname. Maximilien summarized that "PREL" comes from the latin word "PRIL" a word describing a small clearing emerging to the edge or a low meadow. The latin word "PRATO" has become "PRE", "Pre" is the French word for "meadow". During the 6th and 7th century the Burgundians who lived in the region came from the island of Burgundy. Maximilien did not believe the latinification of PRATO = PRE is correct. There are several examples of these Burgundians names in the area around Grandvaux, France where the PRELs resided. he name du PREL / DUPREL originally came from the ancient province of Franche-Comte (which means "free county"). These du Prels' received their first title and glory as Warlords. They hired peasants for their armies, they would then in turn rent these armies to various Princes and Kings These armies saved Charles the fifth (Charles Quint) from insurrection and liberated the Swiss town of Fribourg, where still today all du Prel descendants are Honorary Citizens (Bourgeois de Fribourg), and are entilted to "The Marquis Crown" which is displayed on the top of the family crest. The Marquis Crown has 11 branches / points, the crown supports an eagle of gold, in the eagle's beak there is a gold star. The caption under the Crest "Jamais ne m'adviendra" is French for "I shall never leave the right way". he second Luxembourg line of du PREL / DUPREL resided in Septfontaines. They are first mentioned in the baptismal record of Jean-Baptiste du Prel (1 Jun 1767). Jean-Baptiste is the son of Jean du Prel and Catherine Weiler The Duprels' living in present day Luxembourg (Nov 1998) are descended from Jean Baptiste. A branch from this family tree, Andre Duprel a great grandson of Jean Baptiste, emigrated to North America in 1901, settling in Sturgis, South Dakota. Present day descendants of Jean-Baptiste (born 1767) write their surname as DUPREL. here are two German lines of du PREL / DUPREL. The first line is descended from the Jean-Baptiste, baron du Prel born 1747 at Erpeldange, Luxembourg. Jean-Baptiste moved to Bavaria in 1770, he married 1st the comtesse Johanna de BUTLER-CLONEBOUGH she died 6 Nov 1779. He married 2nd Marie Therese von SCHMAUSS she died 14 may 1789, they have 1 child Maria Magdalena du Prel who married Carl Ernst GRIESSENBECK von GRIESSENBACH. Jean Baptiste married 3rd baroness Marie Anne de WICHS they have 4 children. Jean Baptiste died 1805 at Amberg, he was Chambellan of Elector, Councilor of Aulique, Lord of Pilsach, Stein, and Weiher, etc. 2. Anna Magdaline du Prell baptized 26 Jul 1734. 3. Sophie Duprel born 27 Jan 1811.
he second line of DUPREL, mention in the early French records resided in the department of Haute-Saone. They are first mentioned in the marriage record of Claude Duprel and Marguerite DARRELL. Claude and Marguerite were married 25 Apr 1679 at Granges la Ville. This is the first record I have found for the Haute-Saone Duprel line. On this record it list Claude Duprel as being from Fallon and his parents as: Antoine Duprel and Jeanne POIREL. I've found several birth, marriage and death records for the Duprels of Haute-Saone, These records are from the late 1600s to late 1800s. here are 2 known Du PREL / DUPREL families in England. 1st: Charles DUPREL who resided at St. Botolph, London. Charles's son Emanuell was christened on 21 Apr 1588. 2nd: Jacques Du PREL husband of Marie Le PERS. Jacques and Marie resided at Threadneedle Street, London, their son Philipe was christened on 10 Dec 1682. The du PREL were originally from Salins, France and are known since the time (1400s) of Jean Duprel the (ecuyer) squire / horseman. The du Prel surname comes from the locality Le Prel, possession of the Abbey of Saint-Claude from whom the counts of Chalon were pledged to by following an arrangement with the Abbey in 1301. They established Magistrates for their share of the Mansion of des Prel of de Prel in effect a Simon de Prel, qualified riding master, squire still operated in the 16th century a manor of the house of Chalon Orange, the home of the "Lords of Prel. A branch of this family possessed at the end of the 14th century the dependent manors, properities of Chalon-sur-Saone. 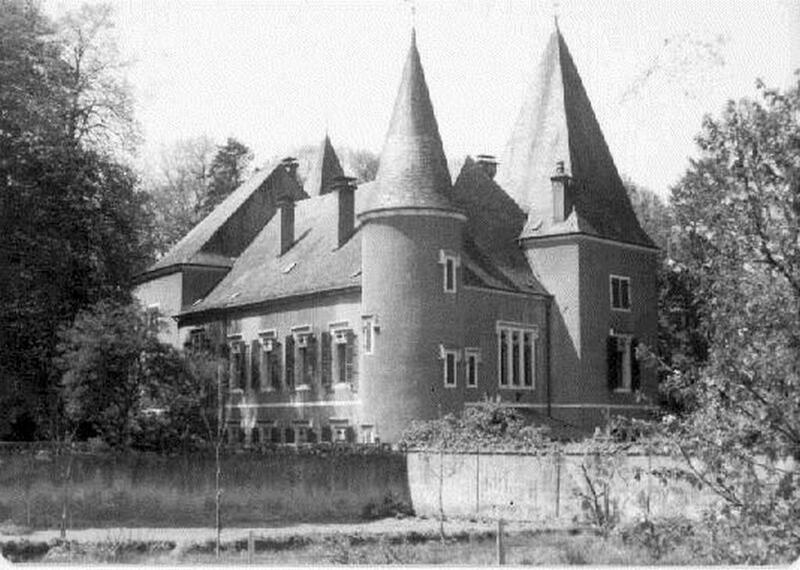 During the Chatellenies of Vuillafannes of the Chatillon-sur-Courtine, the properties were retaken in 1404 to 1423 by Jean Duprel or du Prel, squire. The other Jean du Prel was still possessor of land in the Chatellenie de Vuillafannes towards the end of the 15th century and settled down at Salins. The sons of the later, Pierre du Prel (ca. 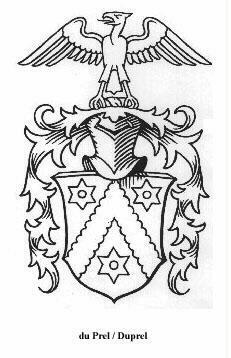 1501) Lord of Arloz procured confirmation of Nobility and Decoration of arms by Emperor Charles Quint in 1531 for services rendered during the war with Hungary and Germany. The great grandson of Pierre; Antoine du Prel d'Arloz, superintendant in the Spanish service was made baron in 1651, by King Philippe IV of Spain and General of the armies in the League of Catholic cantons of the Swiss (1656). He was given equally the responsibility of governor for the cities and castles of Blitterans and Arloz in Franche-Comte, by the Princes of Orange, heirs of Chalon. Antoine received his concession of title "Chevalier" (knight) in 1659. He is the originator of two lines. 1st: Claude du Prel de Chapois, Claude, baron du Prel married Antoinette de Vers of Vaudrey. This line disapeared in 1770 with Charles Marie Joseph Humbert du Prel Knight of Malte, Colonel of the Enghien regiment, governor of the Castle in Joux and Pontartier. Charles was the last male member of this line. 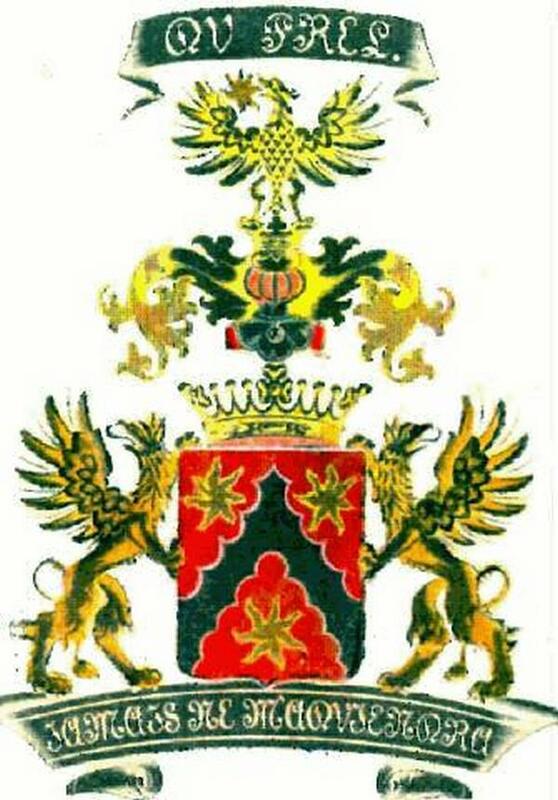 Descendants of Gerard, baron du Prel de Chapois reside in the countries of Germany, Belgium, Tahiti, and the USA (2001). 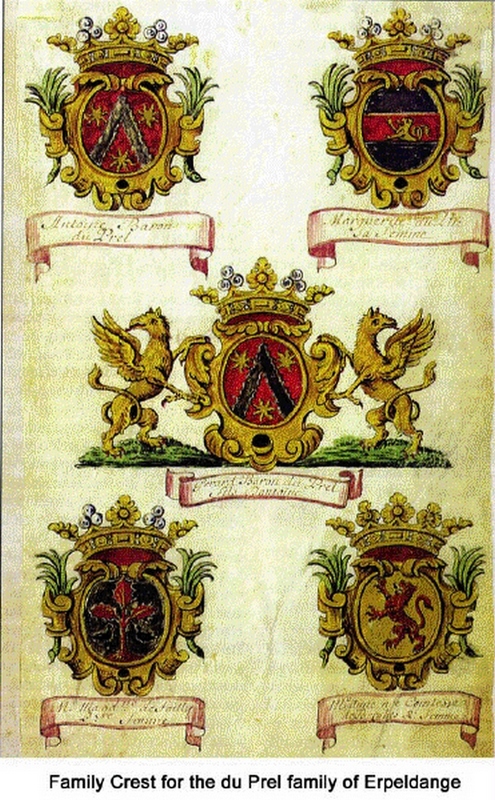 The coat of arms displayed on this page belongs to this line of du Prel. The Duprel family book is available on-line. in any fashion without my consent.